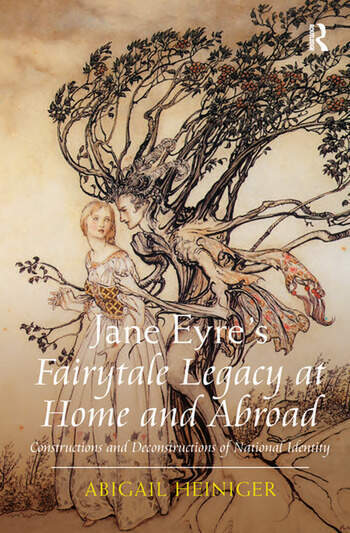 Exploring the literary microcosm inspired by Brontë's debut novel, Jane Eyre's Fairytale Legacy at Home and Abroad focuses on the nationalistic stakes of the mythic and fairytale paradigms that were incorporated into the heroic female bildungsroman tradition. Jane Eyre, Abigail Heiniger argues, is a heroic changeling indebted to the regional, pre-Victorian fairy lore Charlotte Brontë heard and read in Haworth, an influence that Brontë repudiates in her last novel, Villette. While this heroic figure inspired a range of female writers on both sides of the Atlantic, Heiniger suggests that the regional aspects of the changeling were especially attractive to North American writers such as Susan Warner and L.M. Montgomery who responded to Jane Eyre as part of the Cinderella tradition. Heiniger contrasts the reactions of these white women writers with that of Hannah Crafts, whose Jane Eyre-influenced The Bondwoman's Narrative rejects the Cinderella model. Instead, Heiniger shows, Crafts creates a heroic female bildungsroman that critiques fairytale narratives from the viewpoint of the obscure, oppressed workers who remain forever outside the tales of wonder produced for middle-class consumption. Heiniger concludes by demonstrating how Brontë's middle-class American readers projected the self-rise ethic onto Jane Eyre, miring the novel in nineteenth-century narratives of American identity formation. Abigail Heiniger is Assistant Professor of English at Bluefield College, Virginia, USA.